On 15 July 2013, China Daily posted an interview with Nils Persson, the CEO of Swedish Health Care. A summary of that article follows. 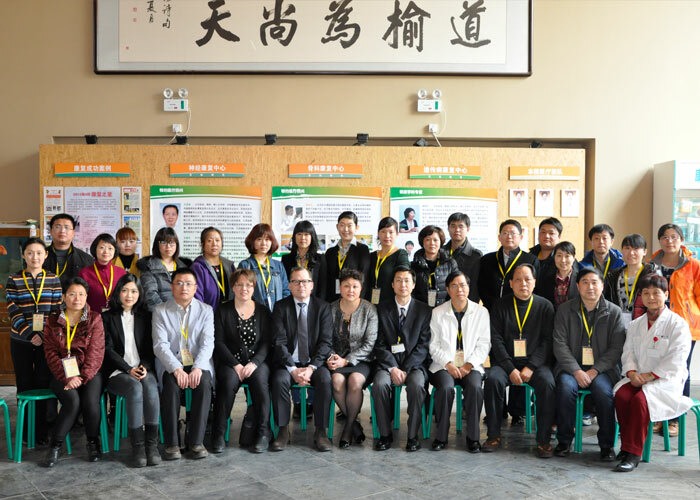 Lack of trained managers and application of technical skills are the main obstacles hindering progress in China’s increasingly burdened rehabilitation and nursing sector, says Nils Persson, managing director of Swedish Healthcare, a training provider and consultancy. Persson believes that these issues are mainly due to a reluctance to see the benefits of investing in training and knowledge, and to recognize that technical know-how rather than just equipment are of value to organizations. “There is a great belief in hardware and not such a great belief in software but I think this will change, ” says Persson, adding that his organization would look to be at the forefront of change. Since its foundation in 1989, Swedish Healthcare has taken part in the development of several nursing and rehabilitation homes in Sweden, and also provided training and competence courses for more than 2,000 medical professionals and international students in more than 20 countries. With the Beijing-based Intech Rehabilitation Hospital as a partner, Swedish Healthcare has recently designed a course that focuses on the management of start-up nursing homes and rehabilitation clinics for the Chinese market. One course was attended by 24 medical professionals across China. The course covered key topics including how to manage the financial risks of running clinics, diagnosis training and handling personal patient care. 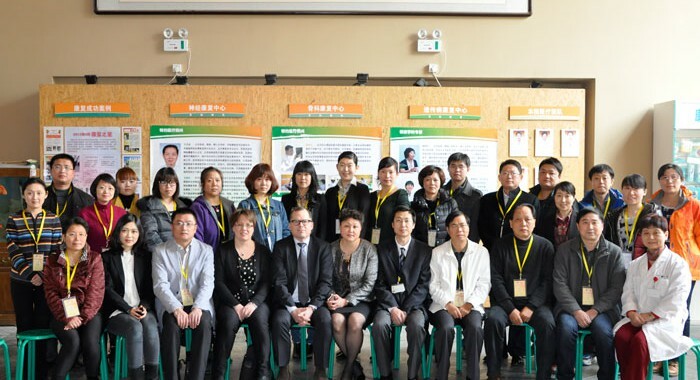 Although currently Swedish Healthcare only provides theoretical training in China, it plans to also offer clinical training for care workers in the future. Swedish Healthcare’s expertise is rooted in Sweden’s globally renowned healthcare system, which introduced universal health coverage in 1955, making it one of the first countries in the world to do so. In comparison, China aims to achieve universal coverage by 2020. Turning to China’s healthcare sector, Persson sees the improvement of rehabilitation services as one way to reduce the financial burden of illness on the system. “(Rehabilitation services) can change, improve and in the long run reduce people’s suffering and the cost on the general healthcare system,” Persson says. Persson says one way to improve rehabilitation services in China is to adapt Western practices. To facilitate this process, His team has prepared case studies based on several rehabilitation centers built in Sweden, and uses them in Chinese classrooms to train medical professionals. During the lessons, the Chinese students are encouraged to discuss how the Swedish case studies can be applied in China’s context. Main areas of focus within these case studies are accessibility, providing appropriate technology in rehabilitation facilities, and looking after vulnerable patients such as stroke victims, he says. Persson says that one group of patients demanding increasing attention in China’s rehabilitation field is elderly citizens, because they are more vulnerable to the types of injury that require rehabilitation services. As China has an ageing population, the government has already invested heavily in aged care, alternatively known as geriatric care, but Persson says more needs to be done. “I think the next step is how to start organizing homecare services, providing nursing care at home for elderly people whose children have moved away and so on,” he says. Persson says one solution to the problems of rehabilitation and geriatric care is improving primary care provision, which he believes is not yet adequate in China. He says patients with “a need for minor and simpler treatment” should have their needs met quickly in accessible primary care facilities rather than large emergency hospitals. The need for primary care can and should be fulfilled through the establishment of more medical centers. Such centers should be accessible, provide preventative healthcare services like check-ups and yearly examinations, and also deliver minor treatments, he says. At the same time, Persson believes that healthcare in China is rapidly changing, and Western involvement may be coming to an end, though currently contributions are still needed when it comes to human resources and training. 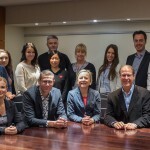 “I think that acknowledgment, recognition, and development of human resources will be the main expertise that the West can provide to change the view of human resources within Chinese healthcare management and rehabilitation,” Persson says. Yet he does foresee a future in which Western healthcare providers are no longer needed by the Chinese market, and such a future is “definitely in the next 10-20 years”. “I think they work very fast, and adapt very fast, and what is needed is perhaps some Western input but it still has to be adapted to the Chinese market, Chinese culture and the Chinese system. That’s where we in the West can provide some different approaches and knowledge,” he says.